Rental property management involves a number of activities – such as the proper placement of tenants, real estate maintenance, rental repairs, and the administration of property – that aids in your overall success as a real estate owner. 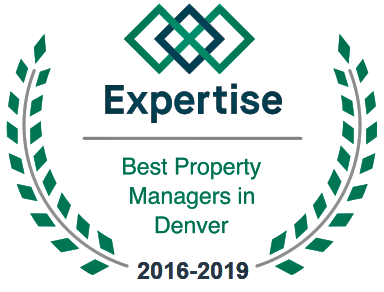 Individuals that specialize in property management in Denver provide you with immensely powerful resources that will result in your properties transitioning into thriving investments that are highly lucrative. These licensed professionals will not only answer your questions and manage the day-to-day affairs of your real estate business, they will also provide you with the services and tools required to maximize your overall income potential. It does not matter if you own just a single property or if you are the owner of an institution within the Denver area, you will benefit in numerous ways by opting to utilize a property manager. By taking advantage of Denver property management professionals, your property will be an asset, not a liability. How do I market my rental properties? What do I set my price at in order to attract the right type of tenants? Who will I attract by using on-site marketing signage? What do tenants use to find rentals? When do tenants typically search for rental property? Where do people go to search for homes? Why do I seem to attract the worst tenants? When it comes to your property, there are many factors that impact the amount of time it will remain on the market prior to occupancy. These factors include the location of the property, the season, the appeal of the property, the price it is set at, the general social and economic situation in the area where the property is located, as well as the overall market visibility of the property. Who do I rent to? What should I look for in a potential tenant? When do I collect rent and security deposits? Where should I look for a professional rental agreement or lease agreement? Why do I need a pet policy in place? How do I run credit checks and background checks on potential tenants? The property manager will create a detailed application process which screens all applicants. This will evaluate credit history, their rental history, verify their income, review their criminal history, and review their job history. Being that over 60% of all potential tenants now have pets, the property management team will put detailed procedure into place to property handle those that have pet. This procedure will include pet screening, flea treatment responsibilities, pet deposits, and additional pet fees. A lease review will be performed to outline all expectations and answer any questions the prospective tenant has. The Denver property management team will create a move-in condition report that aids in establishing the overall condition of the establishment when the tenant moves in. This includes videos, pictures, and written descriptions. It is kept on file and a copy is provided to the tenant. This helps in comparing the property should the tenant elect to relocate. Rent/lease agreements are created and handled – with no assistance by you, the property owner. Additionally, all deposits and rent monies are collected up front. What Conditions Should I Improve to Remove Potential Liabilities? How Do I Maintain All My Statements and Files? Who Should I Get my Landlord Insurance Through? When Do I Need Emergency Maintenance Services? Where Do I Find Contractors? Why Do I Need to Educate my Tenant on Care and Maintenance? Your property is a heavy investment and you should take every measure possible to ensure that it is a top priority. Property naturally depreciates. It requires ongoing evaluations and maintenance to ensure that it maintains its value. Your property management team will educate tenants on ways that they may take care of the property. They will ensure that preventative maintenance is performed and that responsive maintenance is performed, when deemed necessary. Property managers acquire and maintain the insurance on your property. They offer around-the-clock emergency maintenance and, when it becomes necessary, hire the best contractors for any job that needs to be performed. Financial Services – These include the disbursement of your monthly rental monies, they monitor your income and expense performance, help with the 1099s at the end of the tax reporting year, and typically provide secure, online access so that you may review your statements. Eviction Services – If your renter fails to uphold their responsibilities, your real estate property management team will act quickly to legally initialize and complete any and all required eviction services. Legal Assistance – Property management teams help in keeping you educated on all of the laws, policies, and procedures that govern your property and your tenants. Additionally, they work closely with certain agencies – such as the Environmental Protection Agency and your local building and zoning office – to ensure that your property is safe, livable, and up to code. Pioneer Property Management offers the most comprehensive services in Denver and the surrounding areas. We handle all property and tenant issue around the clock – leaving more time for you and your loved ones. First, we are capable of discovering wonderful tenants through an extensive screening process that consists of 5 steps that has been created through years of experience. We are proactive, not reactive. In other words, we work to identify issues before they become problems. We have a highly reliable and extremely professional business methodology. We know how to maximize the amount of profit that you experience and strive to protect your investment.